Leawo Blu-ray Player is the best all-inclusive media player software to play back quality-lossless Blu-ray movies on Windows, including Windows 8.1/8/7/XP/Vista. As professional Blu-ray video viewer software, it could play back all Blu-ray discs in the market, Blu-ray folders and Blu-ray ISO files. It is also a totally free DVD player to offer lifelong free service for playing DVD discs, DVD folders, DVD ISO files and IFO files. Besides, this Blu-ray media player software is still a cost-free video viewer to play back almost all common videos in AVI, MPEG, WMV, MP4, FLV, RMVB, MOV, Xvid, 3GP, etc. and up to 1080P HD videos in HD MP4, HD AVI, HD MOV, HD TS, HD TRP, HD VOB, HD MPG, HD WMV, HD ASF. It plays everything under the sky. Leawo Blu-ray Player could play back audio files with visualized interface for better music enjoying, in AAC, AC3, MP3, M4A, MKA, WAV, WMA, etc. For better user experience, it provides detailed navigation and full playback control and allows people to adjust subtitles, audio tracks and videos during playback, customize background picture and switch program skins, support multi-languages and multiple screen displays, etc. With Leawo Blu-ray Player, HD movie enjoyment on Windows would be greatly improved. Step 1. Download and launch Leawo Blu-ray Player. Right click on the program interface, choose “player setting” on the pop up window. Then you will see a new window where you can set everything you would expect from a video player, playback buttons, subtitles, snapshot, skin, you name it. If you have a 4K DVD inserted in your disk, the program would automatically detect it to play back. 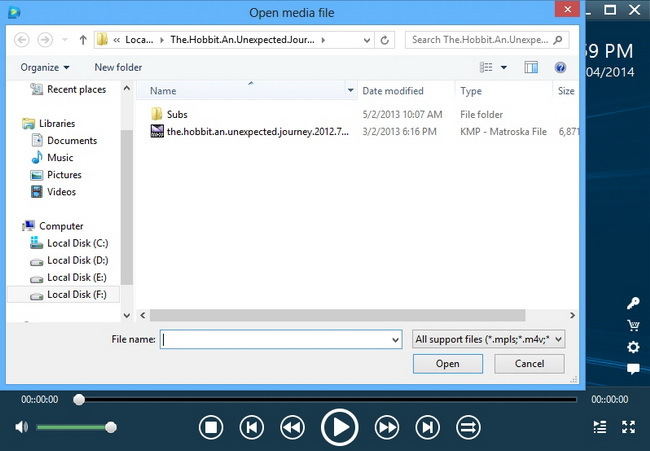 If not, you can click the left Open File box on the main interface of the program to navigate to 4K movies. In this step, you can also change the file name, check the file reordering, file previewing, etc. If you want to save it in other formats, Leawo Blu-ray Player can also act as a converter: Right click on the playing screen, you will see “convert” at the end of the popped-up window. Click it and follow the instruction to download Leawo Total Media Converter Ultimate to enable convert function. 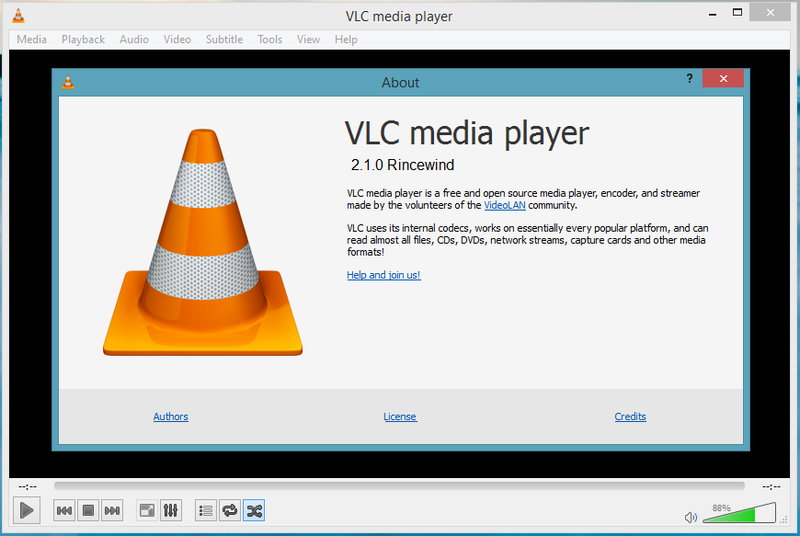 VLC media player (commonly known as VLC) is a free and open-source video viewer, a portable and cross-platform media player and streaming media server written by the VideoLAN project. VLC is available for desktop operating systems and mobile platforms, such as Windows 10 Mobile, Windows Phone, Android, Tizen, iPad, iPhone, and iPod Touch. VLC is also available on App stores such as Apple’s App Store, Google Play store and Microsoft Windows Windows Store. 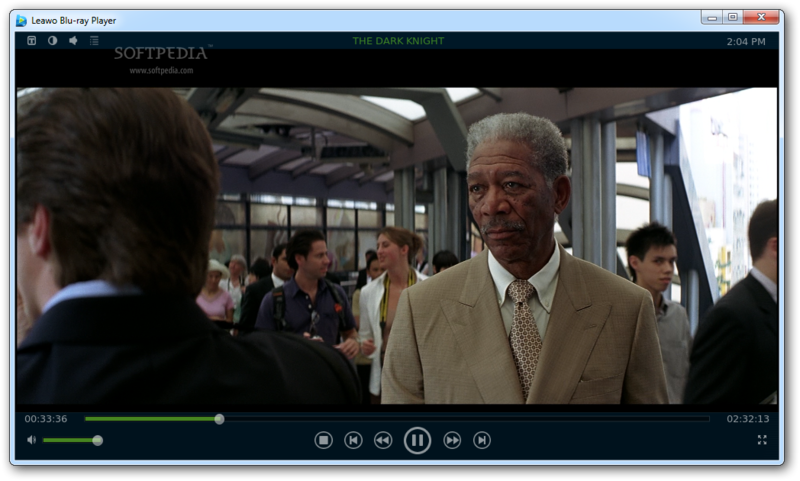 Potplayer is another free video viewer for your Windows PC, and it has support for devices that are running XP or later and ranges up to Windows 8.1, which is a good thing we hope. It does not matter if you’ve a set of hardware that is low enough; Potplayer will utilize the Hardware Acceleration feature to make sure that you’re able to get an best media experience from your desktop. There are more features when it comes to playback as well. For instance, unlike the aforementioned video player software, Potplayer supports different kinds of 3D Glasses and 3D-oriented features of Potplayer are just awesome from the user’s point of view. Also, there is an option to get 3D output as per what your requirement is. 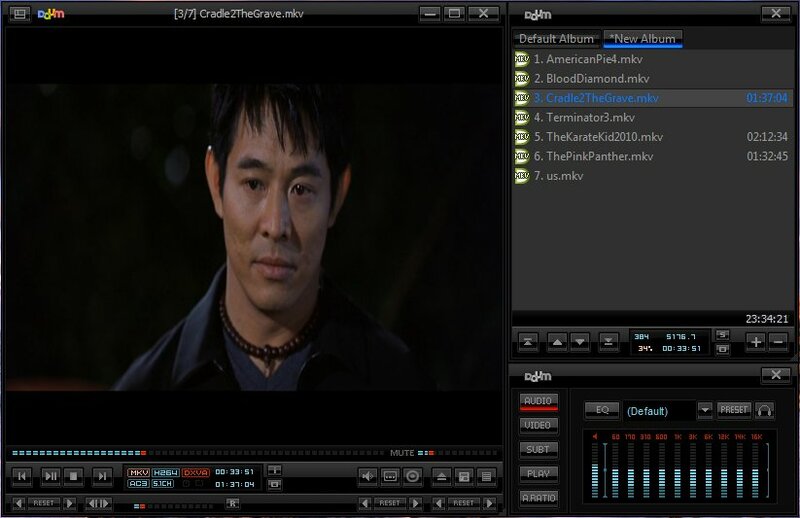 In addition, Potplayer offers support for almost every codec you would need in the whole journey of movie watching and it supports different kinds of subtitle files as well. Screen snapshot feature, the ability to choose between sound cards, scene bookmarking etc are worth noting too. 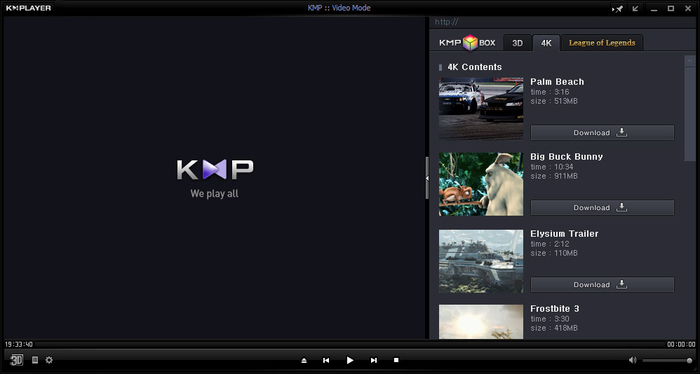 KMPlayer is a free video viewer for download. One outstanding feature of KMPlayer is that even when other video players become dumbstruck if the output is of a non-common format, KMPlayer would be able to play that file, quite smoothly & there are impressive features too. 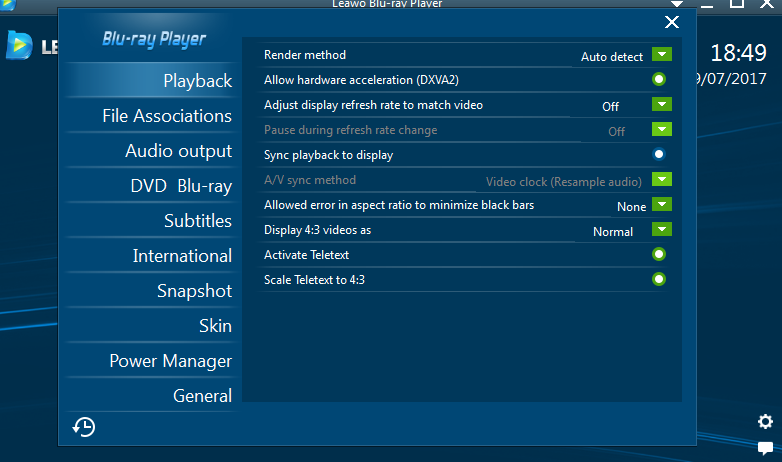 Some of those features of KMPlayer include its support for 3D, 2K, 4K & UHD, presence of internal codec files that make playback easier than you except, provided the PC may have relatively lower configuration. Rather than merely playing files, you have an option to set up libraries when it comes to videos and music; thus, you can get an awesome media experience. Similarly, there is an option to play DVDs well, with all the features you could expect in a typical DVD player. One of the other features that we praise KMPlayer for, is the ability to adjust the playback screen with respect to our screen, convenience of use and there’s an in-built subtitle editor too. Out of all these free download video viewers, I prefer Leawo Blu-ray player, my personal choice when it comes to watching films. I love its neat interface and HD watching experience and its quiet handy when using.